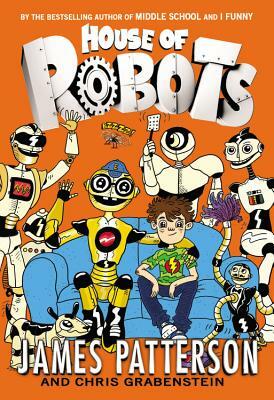 It was never easy for Sammy Hayes-Rodriguez to fit in, so he's dreading the day when his genius mom insists he bring her newest invention to school: a walking, talking robot he calls E-for "Error". Sammy's no stranger to robots; his house is full of a colorful cast of them. But this one not only thinks it's Sammy's brother . . . it's actually even nerdier than Sammy. Will E be Sammy's one-way ticket to Loserville? Or will he prove to the world that it's cool to be square? It's a roller-coaster ride for Sammy to discover the amazing secret E holds that could change family forever . . . if all goes well on the trial run!